The Rena Filstar XP Canister clip/hinge seals the motor to the top of the canister. This prevents water leaks from the filter. The clips exert positive pressure on the filter top and will snap into place. If the basket assembly is not aligned properly inside the canister the clip or hinge may face too much pressure and will break. 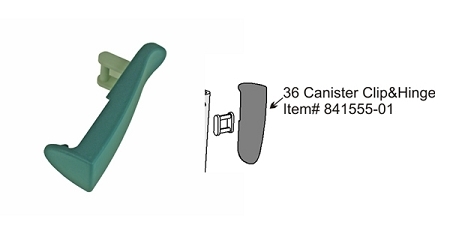 This requires a replacement hinge or complete replacement canister assembly for continued operation of the filter.